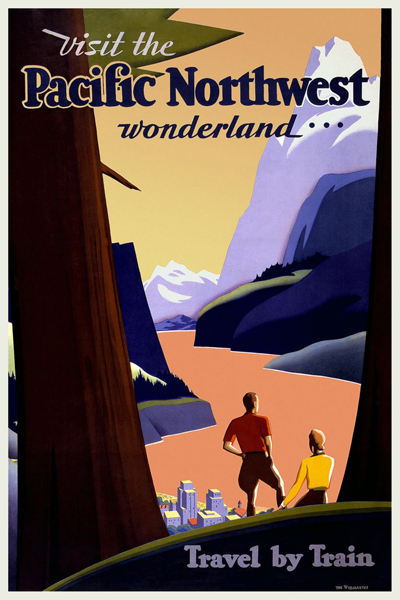 Title: Visit the Pacific northwest wonderland... Travel by train / The Willmarths. Medium: 1 print (poster) : lithograph, color ; 103 x 68 cm. Summary: Poster showing a man and woman looking out over mountains and a city by the water, from among redwood trees.